Who has a more generous retirement system: Canada or the US? 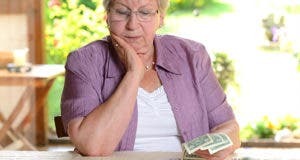 Canadians over 65 are much less likely to live in poverty than their American counterparts, but surveys show most Canadians still worry about running short of money in retirement. 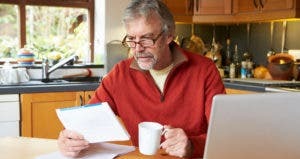 Canada’s retirement system offers definite advantages to low-income workers compared with that of the United States, but “neither one serves middle-income, private sector workers very well,” says economist and pension expert Keith Ambachtsheer, director emeritus of the University of Toronto’s International Centre for Pension Management at the Rotman School of Management. Tax rates. In the United States, worker and employer each contribute 6.2 percent of the worker’s wages to Social Security for a total of 12.4 percent. In Canada, the contribution to the CPP is 4.95 percent each, or 9.9 percent total. Benefit size. In both plans, the longer you wait to start benefits, the larger your checks will be. But benefit checks from Social Security are generally larger than those from the CPP. Benefits from both systems can be taxed, but people with higher incomes in Canada are subject to “clawbacks” that can reduce the size of their CPP and OAS checks. Sustainability. The Canadian system is in good shape financially, while Social Security will be able to pay only 75 percent of the benefits promised after 2033 unless Congress reforms the system. In Canada, the CPP is supplemented by OAS, which is funded from general tax revenues rather than payroll taxes. OAS gives a check, starting at age 65, that’s based on how long the person has lived in Canada. Low-income recipients get an additional amount, the Guaranteed Income Supplement, or GIS. 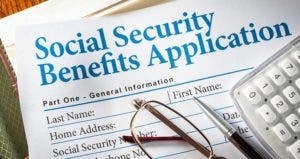 The U.S. Social Security system has a separate program for low-income people who are 65 or older, blind or disabled, called Supplemental Security Income, or SSI, which also is funded by general tax revenues. *For a single person. Social Security amounts are in U.S. dollars, while remaining sums are in Canadian dollars. For the lowest earners, additional saving isn’t necessary, says Thomas Levy, senior vice president and chief actuary for the Segal Group in Ontario. “People who spend their lives working poverty jobs don’t need to save anything for retirement because the government benefits are going to at least replace or even exceed what you made while you were working,” Levy says. About 7 percent of Canada’s seniors live in poverty, compared with nearly 20 percent in the United States, according to the most recent statistics from the Organisation for Economic Co-operation and Development. Those who can save have fewer ways to do so in Canada. The primary way to save is through Registered Retirement Savings Plans, or RRSPs. Contributions can’t exceed 18 percent of a worker’s pay up to a maximum of $24,930. That limit is reduced by amounts accrued in traditional pensions according to a formula that can effectively wipe out the workers’ ability to contribute if he or she has a generous pension. If a worker can contribute to an RRSP and doesn’t, though, the unused contribution limit can be rolled over to future years. Canadians also can contribute up to $5,500 to a Tax-Free Savings Account, or TFSA. The United States has many more ways to save and generally higher limits on how much can be contributed, Ambachtsheer says. For example, an American worker under 50 can contribute 100 percent of their income, to a maximum of $18,000, to a 401(k), and another $5,500 to an IRA, in addition to any defined benefit pension the job might offer. “Catch-up” contributions (for those age 50 and up) raise those limits by $6,000 for 401(k)s and $1,000 for IRAs. The self-employed and executives with deferred compensation plans can contribute tens of thousands of dollars more. Another big difference between the countries: health care. Canada’s system is funded by the government and accessible to all without co-pays or deductibles. The United States has Medicare for people 65 and over that covers about 62 percent of their health care costs, according to the Employee Benefit Research Institute, or EBRI. The EBRI estimates a 65-year-old couple would need $360,000 in savings to cover their health care expenses in retirement. Contrast that with 71-year-old Levy’s recent hospital stay, which cost the Ontario resident nothing.